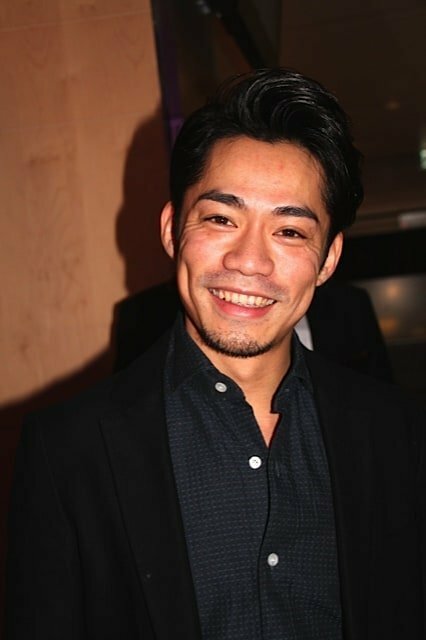 Daisuke Takahashi is a Japanese World Champion and European Winter Olympic Bronze medallist figure skater. 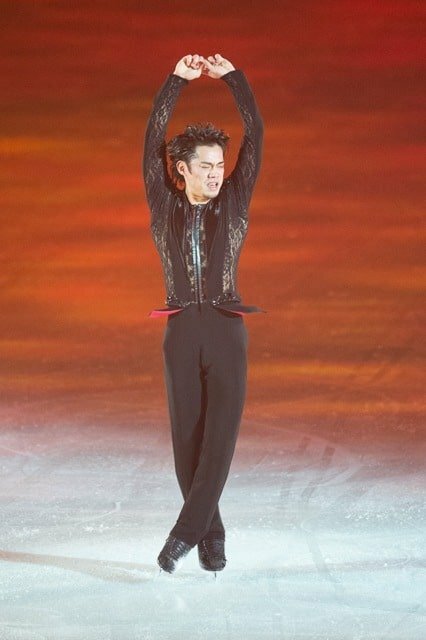 In 2015 he performed for the first time in Switzerland at Art On Ice. He received a rapturous reception and wowed the audience with his great performances. 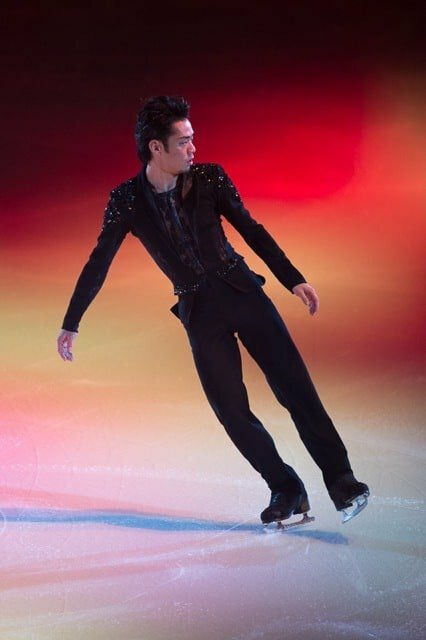 Enormously popular in Japan, Daisuke’s fans followed him to Switzerland to see him take part at Art On Ice 2015. 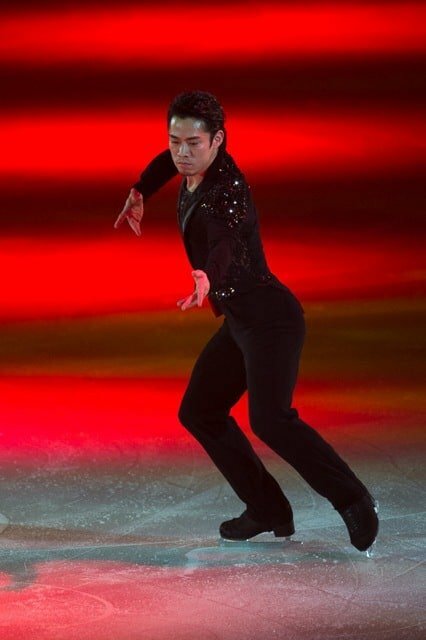 Born on 16th March 1986, he was the first Japanese athlete to win an Olympic medal for figure skating. He won the medal at the 2010 Winter Olympics in Vancouver. 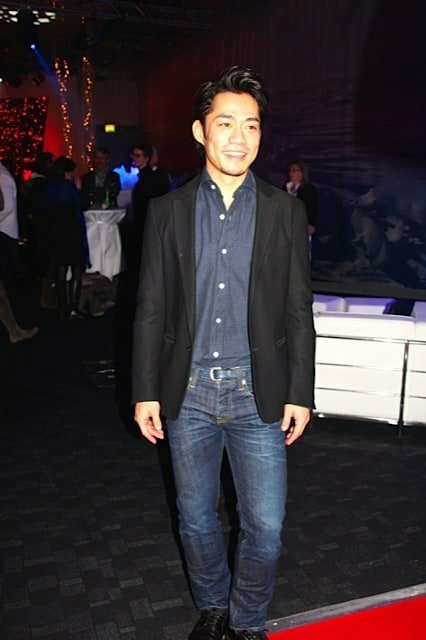 He was also the first Japanese athlete to win the World championship in the same year. 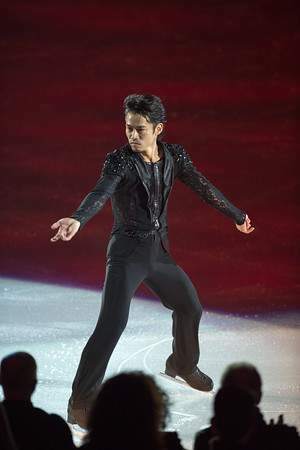 Speaking to him briefly after his first performance at Art On Ice he said he was happy to be appearing at the show in Zurich. He explained that he had been a little nervous before his first performance but was happy to be in Switzerland. At the after-party following his first performance on Thursday 5th February we had a brief chat with him. He came across as extremely friendly and approachable and posed for the two photos below. 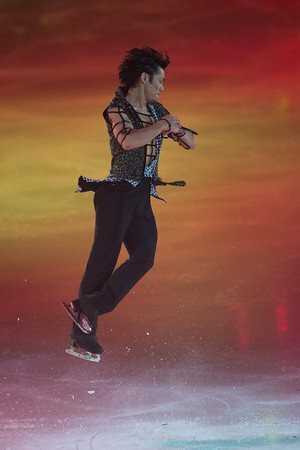 We were enthralled by his wonderful performances at Art On Ice this year. 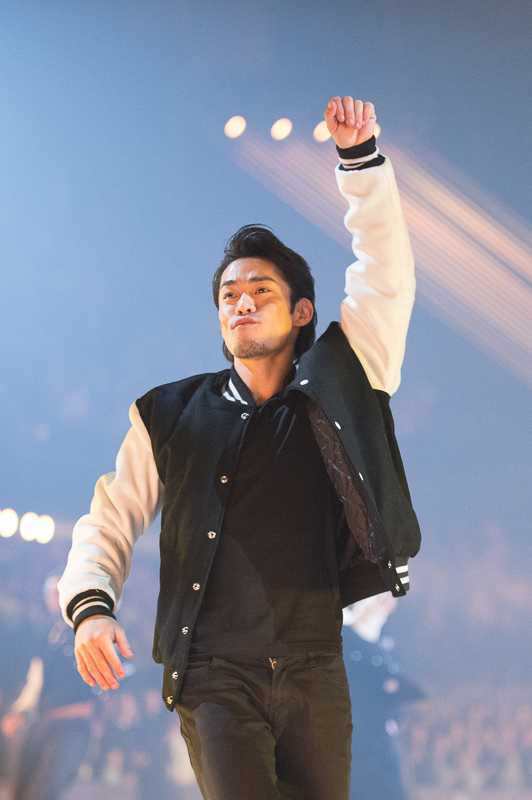 We wish Daisuke all the best for the future. 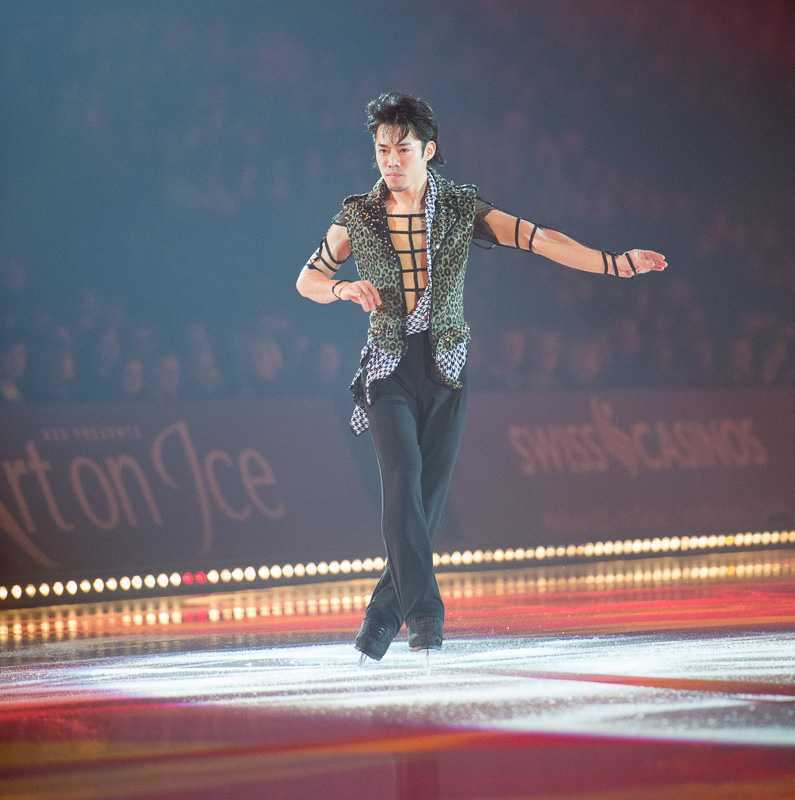 The following photos are from his final performance at the Art On Ice show in Zurich on Sunday 8th February 2015. 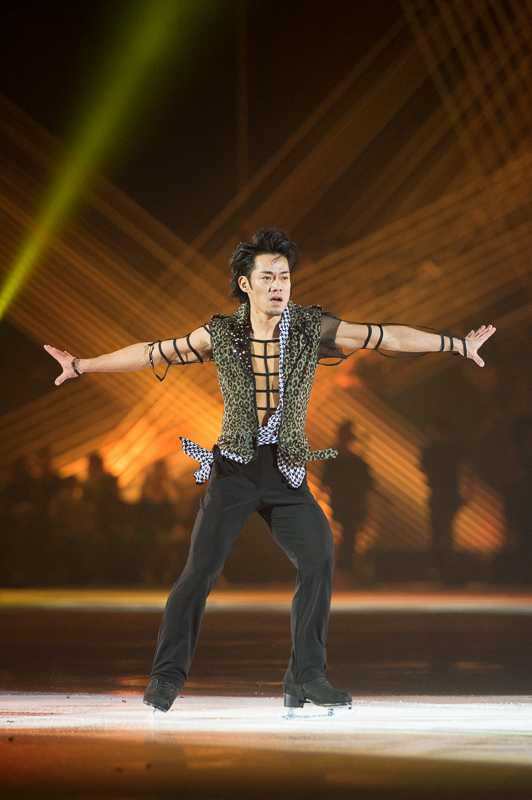 To read our article on Art On Ice Celebrating 20 years please click here. 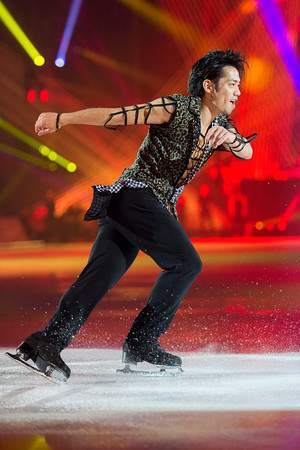 Please check our Art On Ice Pinterest Board for more photos of Daisuke and the other skaters at Art On Ice 2015 here. At the Art On Ice press conference in Zurich in September 2015 the line up for the Art On Ice performances for 2016 were announced. Sadly Daisuke is not available to attend as he is studying in English in the United States. 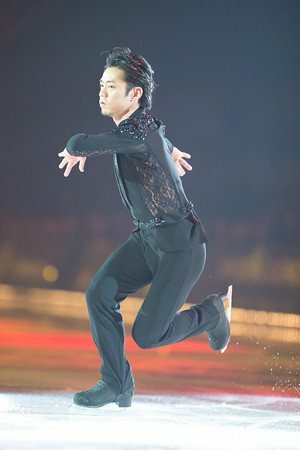 His followers and fans will greatly miss him for the 2016 performances of Art On Ice – but let’s hope he will be back again in 2017 to wow us all! Follow NewInZurich to find out more about Art On Ice 2016.